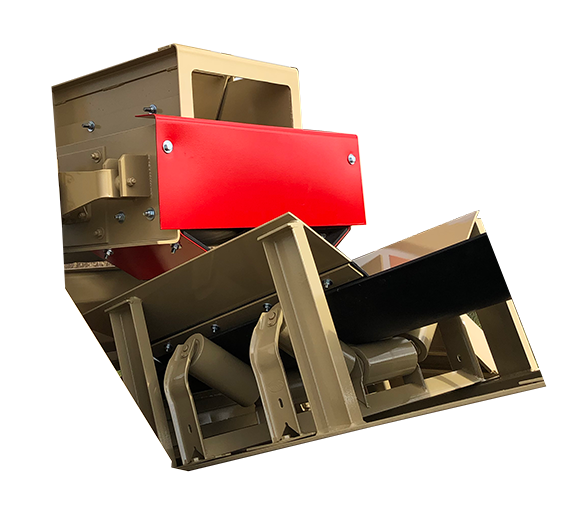 24”-wide inlet feed conveyor with lagged-head pulley provides positive belt traction. Direct-drive speed gearbox reducer provides safety protection and ease of maintenance. High efficiency motor maximizes production. Multi-ply rubber belting adds strength. Self-cleaning, winged-tail pulley reduces material buildup.